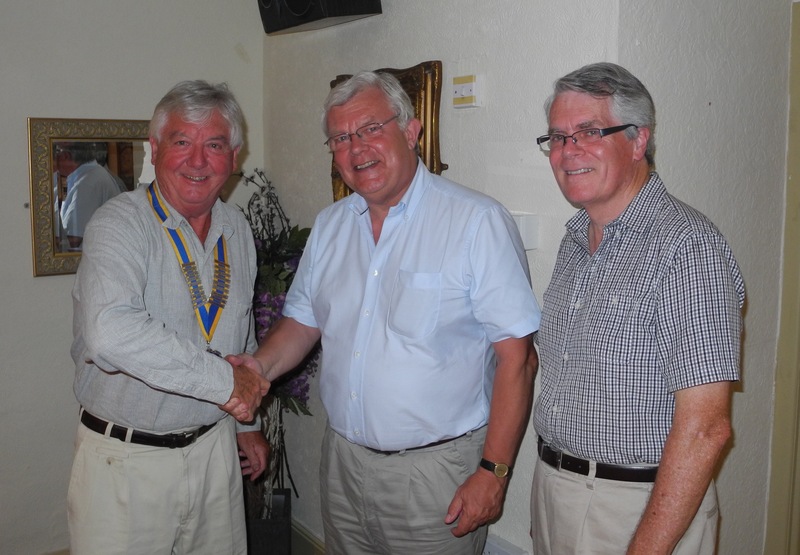 We were pleased to welcome our latest new member to our club, at our business meeting on 22nd July. John Buckley has been a Rotarian for a number of years and decided to transfer from The Rotary Club of Yeovil since moving to Sherborne last year. Since retiring from Pittards in Yeovil, where he was Group Finance Director, John has served as a Non-executive Director of Yeovil District Hospital, and last November became a Trustee of St Margaret’s Hospice. We are delighted to welcome such an active member of the community to our club and look forward to sharing both fellowship and service.